In 1842 a local innkeeper named Angelina Eberly stood up to President Sam Houston and his Texas Rangers by firing a cannon to stave off a rebellion and preserve Austin as the capital of Texas. Even though Austin was in its infancy, she knew it was worth fighting for. Eberly was founded by a group of Austinites, not only as a tribute to the courage and free spirit of our namesake, but also as a reminder that Austin is still worth fighting for. As more people, buildings and ideas populate this city, the battle to preserve Austin's soul rages on. "Austin has always been a gathering place for risk takers, creative types and liberated thinkers to connect and feed off each other’s energy and creativity. We’ve distilled that spirit into one distinctively authentic place." 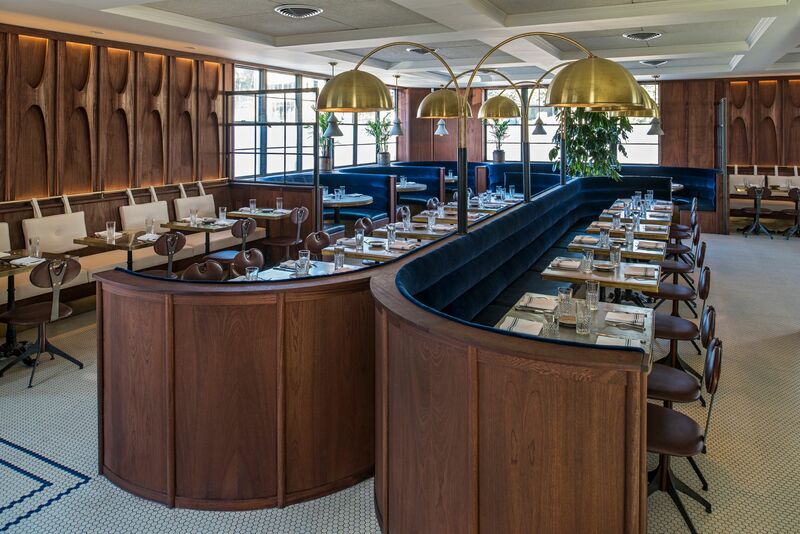 "Forged from an old print shop on South Lamar, Eberly is a thoughtful collection of dining, drinking and thinking spaces. Austin has always been a gathering place for risk takers, creative types and liberated thinkers to connect and feed off each other’s energy and creativity. We’ve distilled that spirit into one distinctively authentic place." 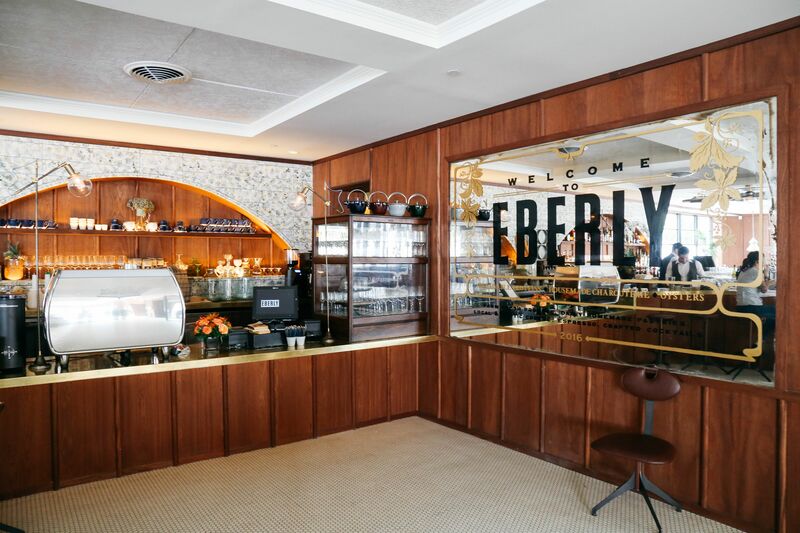 Within Eberly you’ll discover a beautiful dining room offering contemporary American cuisine, a welcoming study, a rooftop event space overlooking downtown, and our crown jewel, the historic Cedar Tavern bar of Greenwich Village in New York City. Built in 1866 out of pure mahogany from South America, the Cedar Tavern held court for more than 140 years in three different locations in New York City. A living piece of history, it was the watering hole of choice for many notable artists, abstract expressionists, beat writers and folk musicians. On any given night you might have seen Jackson Pollock drinking and fighting with Willem DeKooning or Jack Kerouac. Or overhear Bob Dylan, Jimi Hendrix or Allen Ginsberg marinate on their next project. In 2006, the Cedar Tavern Bar in New York City closed for good to make way for the onslaught of commercial growth. The partners of Eberly who had also spent more than a few evenings spinning tall tales at the bar, didn't want to see this work of art end its run. So they purchased the bar, had it deconstructed and moved to Austin, where it's been in storage patiently waiting to paint its next canvas. It was a legendary place and its beating heart, the bar, fits perfectly within the walls of Eberly and in the soul of Austin. Eberly is full of depth and intrigue and warrants exploration from early morning to late at night. We invite you to continue the spirited legacy of our torchbearer Angelina and raise a glass to the adventurers and artists who came before us and those yet to come.